Welcome to RW Carbon, the source for carbon fiber exterior and interior parts for your BMW, Mercedes, Porsche, Ferrari, and Tesla. 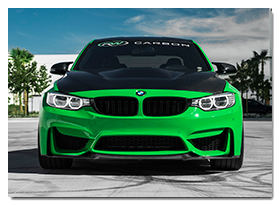 Our unique stance in the auto industry allows us to provide the best carbon fiber parts and service possible. By working only with a handfull of carbon fiber factories we are able to hone our production methods and tolerances which in turn produces the best quality and fitting parts for your vehicle. "I just recieved and entire shipment from RW this week and it all literally fit perfect...carbon trim, Ed1 splitter and rear diffuser all perfect and when I contacted them for installation instructions, they were more than happy to help." "I have the RW carbon M splitters, lip and diffuser on my F8x and very happy with it. It was the first parts out but now there are many options....some I really like but too much of a PITA to remove what I installed since I put it on the be forever. I am still watching for a set of used RW M side skirts." "Mine is F32 but I went thru RW Carbon for their 3D Style CF spoiler. I had heard only good things about them - was offered a 5% discount when ordering, spoiler shipped same day & was at my house in 3 days. Was well packaged & arrived undamaged/perfect." RW Carbon was founded in 2013 by two automotive enthusiasts who saw an industry that could be improved. Before RW Carbon, the idea of purchasing carbon fiber parts was a gamble. 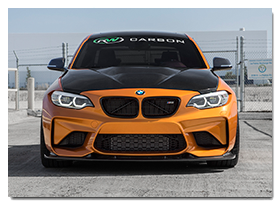 RW Carbon now offers the carbon fiber community the ability to purchase items that are high quality, in stock, great fitting and are backed by industry leading customer service. We currently specialize in BMW, Mercedes, Porsche, Ferrari and Tesla. 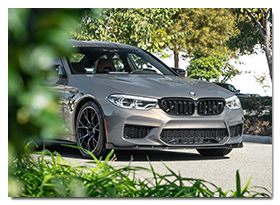 For each of these vehicle makes we carry such products as front lip spoilers, rear diffusers, trunk spoiler, side skirt extensions, mirror caps, interior parts and many more! All employees at RW are car enthusiasts who have installed nearly all of our own parts which gives us hands on experience of how to properly install them, which we can pass on to our customers. When you choose RW Carbon as your carbon fiber parts source you are getting an item that is backed by our fitment and quality guarantee, purchase with confidence! To better assist our customers we try our best to keep all of our parts in stock and quality control each product before shipment to ensure you receive a part that is free of defects. At RW Carbon we believe in a better industry where the customer's needs come above all else. The RW Carbon Team has decades of combined experience within the industry. Our team of professionals are here to help you with any questions you may have with any of our CF aero parts or accessories. Learn more about us (click here), or check out our RW Carbon Blog. We are continually adding new products to our site - If you do not see a specific part you are looking for Contact Us and speak to a carbon fiber specialist today!